2018 Mid South Super Lawyers - In Birmingham But From Dothan :: RickeyStokesNews.com! The Nomberg Law Firm is pleased to announce that both of the Firm’s partners have been named to the 2018 edition of the Mid-South Super Lawyers. This is the 6th year in a row both attorneys were selected as Super Lawyers. Bernard was recognized as one of the Top 50 Lawyers in Alabama. Super Lawyers recognizes no more than five percent of attorneys in each state. The multi-phased selection process includes independent research, peer nominations and peer evaluations. Super Lawyers recognizes attorneys who have distinguished themselves in their legal practice. Bernard and David were recognized for Workers’ Compensation. Bernard and David Nomberg primarily represent injured workers throughout Alabama in workers’ compensation cases. The attorneys are AV Preeminent Rated by Martindale-Hubbell. Both attorneys were recognized in 2018 as Top Lawyers by B-Metro Magazine. Bernard recently concluded his term as the Chair of the Alabama State Bar Workers’ Compensation Section. 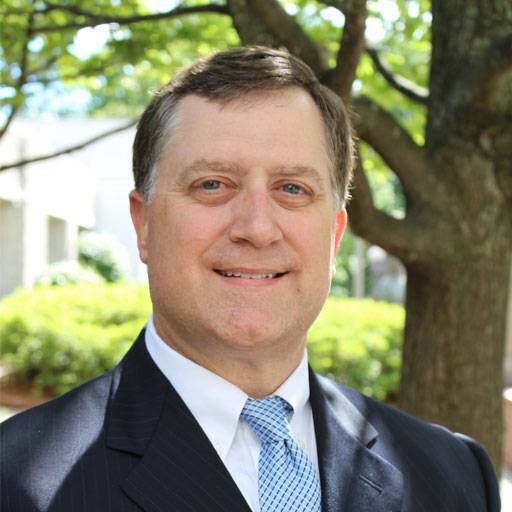 David is the immediate past Chair of the Birmingham Bar Association Workers’ Compensation Section. The Nomberg Law Firm is based in Birmingham, Alabama, specializing in workers’ compensation, personal injury and Social Security disability. Additional information is available at nomberglaw.com. Mr. Nomberg was born in 1942. At an early age, he moved with his family to Dothan, Alabama. He graduated from Dothan High School in 1960. He received his undergraduate degree from the University of Alabama in 1964. He received a Bachelor of Law degree from the University of Alabama School of Law in 1967. He was awarded his Juris Doctor degree by the University of Alabama School of Law in 1969. Mr. Nomberg is a veteran of the United States Army. He attained the rank of Captain. He served in Vietnam in 1968 and 1969 with the 9th Infantry Division and was the Commanding Officer of the 1097 Boat Company. For his service in Vietnam, Mr. Nomberg was awarded the Bronze Star, the Purple Heart, the Army Commendation Medal, the Presidential Unit Citation, and three other Vietnam combat medals. Mr. Nomberg is admitted to practice before the United States Supreme Court, the 11th Circuit Court of Appeals, all federal district courts in the State of Alabama, the Supreme Court of Alabama, and all other courts in the State of Alabama. He is currently a member in good standing of the Alabama State Bar. He has continuously practiced law for over forty-five years handling primarily cases involving personal injury, workers’ compensation, social security disability, and domestic relations/family law. During his career, he has been a member of the Alabama State Bar, the Alabama Trial Lawyers Association, the American Trial Lawyers Association, and the Bar Associations of Houston, Dale and Coffee counties. He has handled cases representing plaintiffs in personal injury cases and workers’ compensation cases. He has handled social security disability claims, domestic relations/family law cases, probate matters and employment discrimination/harassment cases. Joel recently served as a volunteer mentor in the Baldwin County Veterans Court. The purpose of the program is to guide, with the court and mentors, any Veteran participant in resolving their infractions with the court system. In 2017, Joel celebrated 50 years as a member of the Alabama State Bar. Bernard D. Nomberg has practiced civil litigation in Birmingham, Alabama since 1995. Bernard received his undergraduate degree in history from Vanderbilt University in 1990, where he played football on a full athletic scholarship. He then graduated from Jones School of Law in 1994. Bernard’s practice concentrates on workers’ compensation, social security and personal injury claims. Bernard is currently serving as the Chair of the Alabama State Bar’s Workers’ Compensation Section. Bernard is a member of the Birmingham Bar Workers’ Compensation and Solo/Small Firm Sections. He is currently serving on the Bar’s Mentoring Committee. He is a past member of Grievance Committee and Fee Arbitration Committee of the Birmingham Bar Association. He is currently a member of the Alabama Association for Justice and the Birmingham Bar Association. Bernard has also served on several local boards including the Board of Directors for Temple Beth-El and the Birmingham Jewish Foundation. Bernard is admitted to practice in the United States District Courts, Northern, Middle and Southern Districts of Alabama, and in the 11th Circuit, United States Court of Appeals. Bernard has earned an AV rating from Martindale-Hubbell’s peer-review rating. An AV rating is Martindale’s highest possible peer review rating. Peer review ratings attest to a lawyer’s legal ability and professional ethics and reflect the confidential opinions of members of the bar and judiciary. Bernard was selected as a Super Lawyer by Super Lawyers magazine from 2013 – 2017. Bernard has been chosen by B-Metro Magazine as a Top Rated Attorney several years and received Avvo’s Client Choice Award in 2012 and 2017. Bernard was selected by BHM BIZ as a Top Lawyer in 2016. He was recognized several times by Birmingham Magazine as a Top Attorney. American Lawyer Media and Martindale-Hubbell selected Bernard as a 2013 Top Rated Lawyer in Labor & Employment. David primarily represents injured workers throughout Alabama in workers’ compensation cases. David also handles civil litigation including personal injury, auto accidents, trucking accidents, contract disputes, employment issues, medical malpractice and wage and hour cases (FLSA). David has been a member in good standing with the Alabama State Bar since 2002. David received his undergraduate degree in pre-law from the University of Alabama in 1998. He then graduated from Jones School of Law in 2002. David served as law clerk to the Honorable Tom King, Jr., Circuit Court, Jefferson County, Alabama in 2003. David has earned an AV Preeminent rating from Martindale-Hubbell’s peer-review rating in civil practice, personal injury and workers’ compensation. An AV Preeminent rating is Martindale’s highest possible peer review rating. Peer review ratings attest to a lawyer’s legal ability and professional ethics and reflect the confidential opinions of members of the bar and judiciary. David was selected as a Super Lawyer 2013 – 2017 by Super Lawyers Magazine. He was previously recognized as a Super Lawyer Rising Star in 2010 – 2012. David was chosen by Birmingham Magazine as a Top Attorney in 2012 – 2016. David was selected by B-Metro magazine as a Top Attorney in 2016 and 2017 and as a Rising Star Attorney in 2014. He was selected by BHM BIZ as a Top Lawyer in 2016. David received Avvo’s Clients’ Choice Award in 2012, 2014-2017 and was an Avvo Featured Attorney (Workers’ Compensation) for 2013. David was recognized in 2016 as a Rising Star by the Workers’ Injury Law and Advocacy Group. David is a member of the Workers’ Injury Law & Advocacy Group’s Top Injured Workers’ Attorney program; an invitation-only, professional recognition program comprised of America’s leading attorneys representing injured workers. David serves on the Board of Directors of the Alabama Association for Justice (ALAJ) and is a Sustaining Member of ALAJ. David is past chairman of the ALAJ Workers’ Compensation Section. 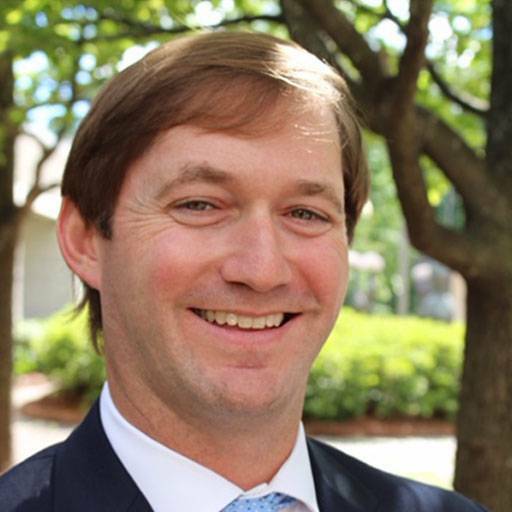 David served on the Board of Directors of the Alabama Civil Justice Foundation (ACJF) and is a member of the Advocates of Justice Society for ACJF. He is a member of the Alabama State Bar’s Workers’ Compensation Section and on the Board of Directors for the Workers’ Injury Law and Advocacy Group. David is immediate past Chair of the Birmingham Bar Association’s Workers’ Compensation Section. David is a past member of the Birmingham Bar Association Executive Committee and currently Co-Chairs the Fee Arbitration Committee. He is past chairman of the Fee Arbitration Committee and Member Services Committee (two times). David served on the Executive Committee of the Young Lawyers Section for multiple terms. 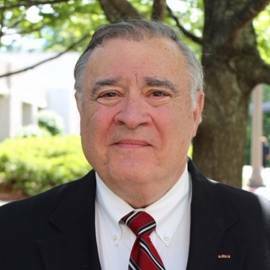 David serves on the Board of Directors for Temple Emanuel, is Vice-Chair of the Board of Directors for Heart Gallery Alabama and Chairs the Trustee Board for Zeta Beta Tau Fraternity at the University of Alabama. While at the University of Alabama, David was inducted into Jasons Men’s Honorary, Omicron Delta Kappa, Anderson Society, Blue Key National Fraternity and Order of Omega, serving as Vice-President. David served as President of the Interfraternity Council. David was a member of the Dean’s List, Capstone Men and Women and Zeta Beta Tau, College of Honors.